Fifty Shades of 4 Ply: YARN Blog Hop - Every Fairy Needs a Home! YARN Blog Hop - Every Fairy Needs a Home! Hello my lovelies! 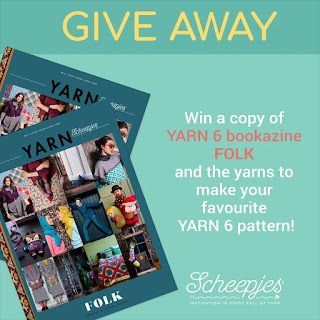 Today I'm seriously happy to be taking part in this wonderful blog hop to celebrate the launch of YARN FOLK. 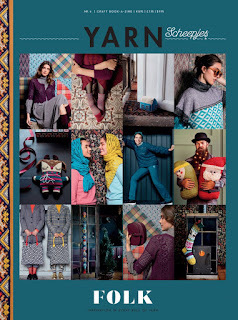 Yesterday Jellina told us about her gorgeous designs (I am soooo making her Farah Scarf!!!) and today it's my turn to tell you about my contribution. But before I do.....I just wanted to talk a little about this publication. YARN is a bookazine (not quite a book but so much more than a magazine) produced by Scheepjes twice a year. If you have not had the opportunity to see it in person I urge you to lay your hands on a copy at the first opportunity! You can find stockists HERE. It really is a thing of beauty and I am incredibly proud to be part of it. This edition has 17 project to make. Yes! 17 patterns!!! And the styling of this is something to behold.....it really is a collectable! I love all things folk. Be it music or art....it makes my heart sing..... What better to make for this edition than little houses for fairies????!!!!! 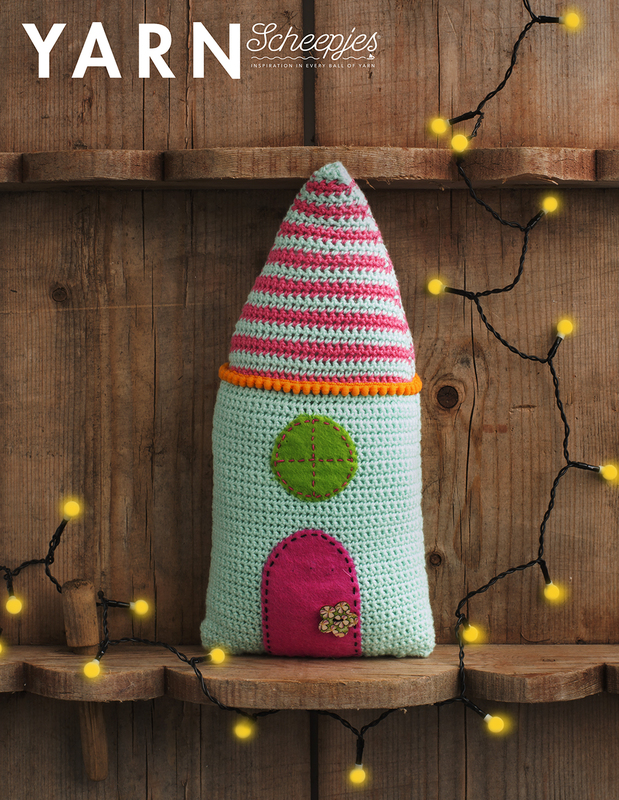 Because as we all know....every fairy needs a cute lil house to live in! To be honest, it was a very straightforward make/design. It just kind of flowed. 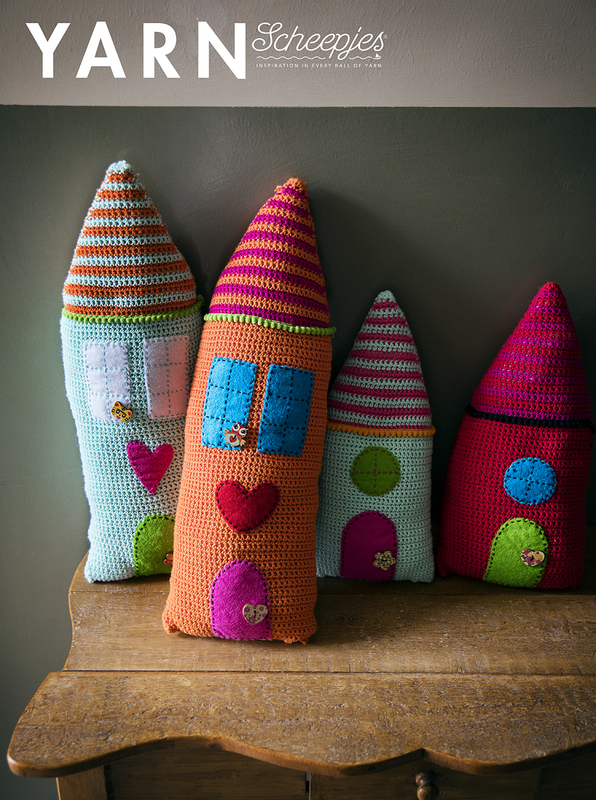 I've made the houses in 2 sizes, but the pattern is really simple to adapt and make whatever size your fairy needs! I've used my favourite Scheepjes Cotton 8 as the base for the houses with scraps of felt, pom pom trim and buttons to decorate. 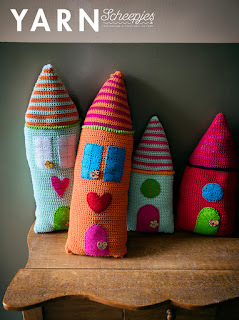 You can raid your sewing box and use whatever you have to hand to jazz these little houses up. And they are super quick and easy to make. Perfect for a beginner project! These little houses only take a couple of hours to crochet and then you embellish them to your hearts content.... dig out those random themed buttons you once bought at a craft fair just because they were too gorgeous not to come home with you....add the ribbon you've been saving for that special project....you can have some fun making them unique. Be sure to share your little fairy house creations! Scheepjes are having a give away to celebrate the launch of YARN 6. To be in with a chance to win, head over to their Facebook post HERE for further details. Be sure to head over LillaBjorn Crochet tomorrow where Tatiana will share thoughts about her YARN designs! Til next time.....I have some new yarn and new project ideas to share!!! Such a lovely pattern, verry nice for christmas to.